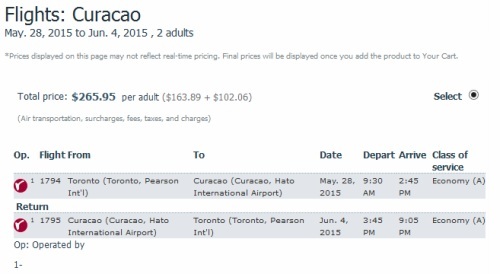 Air Canada Rouge is selling some last minute seats on one of their Toronto - Curacao (CUR) flights for just $265 CAD roundtrip, including taxes. 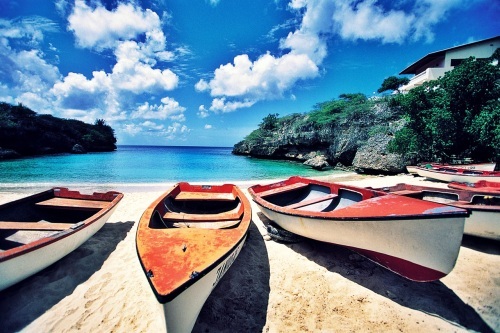 Curacao is an island / country in the southern Caribbean, near Aruba. Have a look on AirBNB. They're currently showing 123 listings for under $100 CAD per night for 2 people in Curacao on these exact dates. 78 of those listings are under $75/night! 'Curacao Apartment Mundu Nobo ' looks to be a winner, at $70/night, rated 4.5 out of 5 after 18 reviews. For live discussion of this deal, or to get some amazing travel advice (about anywhere) from your 25,600 fellow passengers in Toronto, join us in the YYZ Deals Facebook Group.